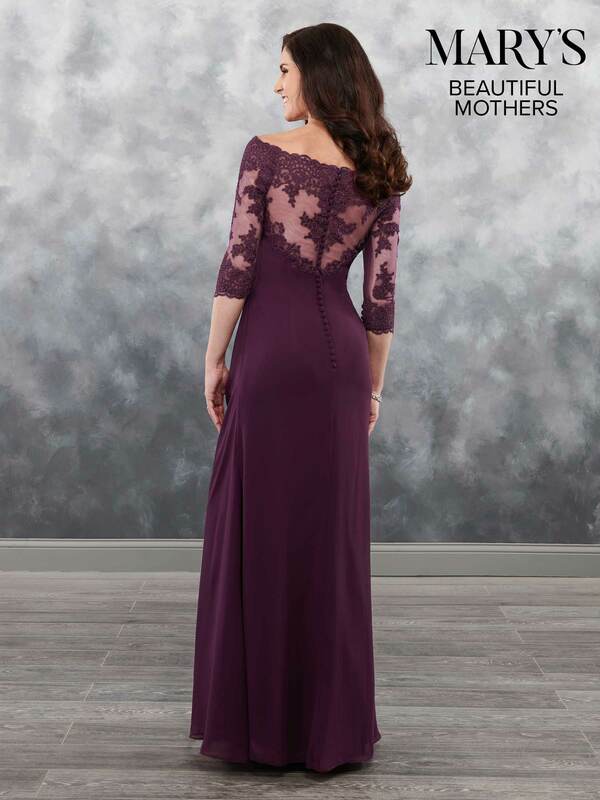 Description: Off-the-shoulder chiffon A-line mother of the bride dress features sheer yoke with lace applique, pleating detail, illusion 3/4 sleeves, and back with zipper and buttons. Color: Shown in Eggplant. Available in 18 colors.